Need Windshield Replacement & Repair Services For Your Mercedes Benz In Toronto? Check Out Mercedes Auto Glass Repair @ Advantage Auto Glass Today! Mercedes Benz brings stardom and a dignified status in the society. Till today, Mercedes Benz remains to be one of the most elegant cars that people aspire to have. Its incredible comfort and classiness is unbeatable. Since it’s a car that carries an exalted status and is built with the most advanced auto technology, there is little doubt that for fixing its broken windshield chip or crack, or for replacing and repairing its broken windshield, one requires the best windshield replacement service in Toronto. Advantage Auto Glass is one of the leading names in Toronto’s windshield repair and replacement service centres. Carrying years of experience and a wealth of knowledge, professionals of Advantage Auto Glass are the right folks to go for windshield replacement and repair services for your Mercedes Benz. It is important to note that your car, Mercedes Benz, irrespective of the model year, is the best car in the market. And hence, requires superior service levels from well known service centres. Do not trade in with inexperienced and less known auto glass companies, and do so at your own peril. At Advantage Auto Glass, we promise to offer you above the ordinary services in Toronto. Our technicians have prior experience with replacing windshield of Mercedes Benz, which means you can be assured of receiving the best treatment for your car. We will do our job, promptly and efficiently. All you need to do is give a call and speak to one of our friendly staff members who will schedule an appointment as per your convenience. 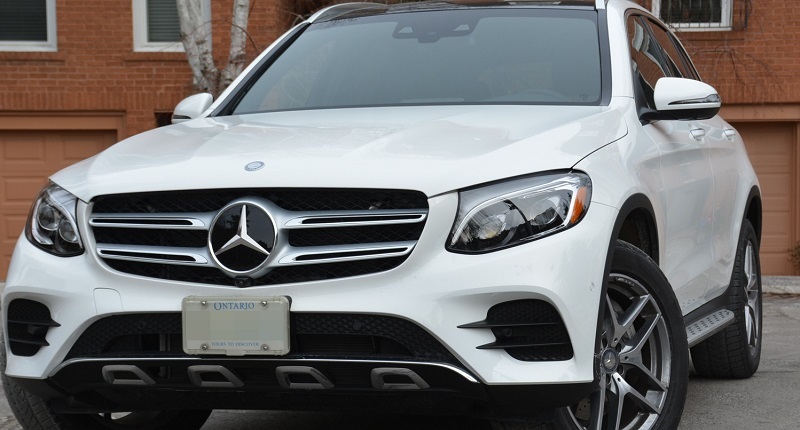 Avail Mobile Services For Mercedes Benz From Advantage Auto Glass Service in Toronto! We value the significance of your time and energy, and therefore, fully understand your busy schedule. With the objective to help our clients to save their precious time, we offer our mobile services to our exclusive clients owning Mercedes Benz. Simply dial our number, speak to our staff, help us locate your address, and our staff will reach at the given location and replace or repair your broken windshield. We promise to get your car ready and back on the roads as quickly as possible. What will be the Windshield Replacement Cost for Mercedes Benz in Toronto? At Advantage Auto Glass, our certified professionals will first try to repair the existing windshield of your Mercedes Benz, helping you save money and time. If the windshield damage is not too large, we can do windshield chip repair without the need to replace the windshield. Only when the windshield is cracked or chipped beyond repair, we will go for windshield replacement. We only use Original Equipment Manufacturer (OEM) standard glass, so the glass will be as good and pristine as the original one. In addition to providing cost-effective services, we even take care of your insurance paperwork. In simple words, we will take care of your insurance claims. To get a quote, call us now at our Toronto Auto Glass repair shop at (416) 740-7779. Our friendly, polite and hard working staff will be happy to assist you in every possible manner.